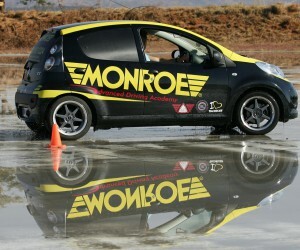 Launch of Monroe Advanced Driving Academy. There are nine million drivers in South Africa and 10 857 traffic accidents with 13 800 fatalities of drivers, passengers and pedestrians. That is equivalent to a Boeing 747 full of passengers crashing every ten days! Human error constitutes 82.85% of the accidents on the road. Accidents on the road cost the taxpayer R13.4 billion annually in South Africa. Advanced driving skills are becoming a necessity for survival on our roads. Comment from one of the young adults who attended the course: I think it is definitely aimed at the right age group. Considering the driving styles, risky driving techniques and overall lack of concern for the safety of others (and without realising it –themselves) that I see on a daily basis this could prove to be extremely beneficial. It was a fantastic programme, I wish it could have been longer and I think it would be highly beneficial to young adults (and some older ones) and therefore out country as a whole. Our country has one of the highest road fatalities in the world. According to the SA Road Traffic Report from 2010/2011 was 13 802 fatalities on the road. A recent article by safe cycling activist, Andrew Wheeldon, said 100 million people have died on the roads in the last 100 years. The Easter weekend and other public holidays always highlight our high accident statistics and this year was no exception. 241 People were killed on the roads between 28 March and 1 April according to the Automobile Association. Why the high accident statistics? South Africans do not rate highly in terms of obedience of laws and rules of the road are no different. Transport Minister Ben Martin has highlighted this non-adherence to basic rules of speeding, disobeying traffic signals, not using indicators, overtaking in dangerous situations and tragically still driving under the influence of alcohol despite repeated campaigns by the government and private sector. Without restricting the blame to younger drivers, a 2012 survey by Goodyear entitled ‘Young Drivers Safety Survey’ surveyed drivers under the age of 25 in 16 countries and unfortunately South Africans scored highest in several 'misbehaviours', including speeding to get through an orange traffic light and lane swopping in order to get ahead. “Although our alarming statistics cannot be blamed on young drivers” says Andrew Antonis, Country Manager for Monroe South Africa,” there is an urgent need for advanced training and a change in attitudes on the road. 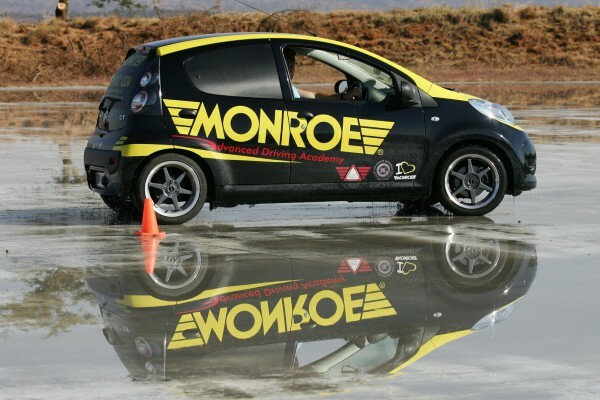 “Monroe’s focus has always been on safety and we already offer free shock absorber testing and support various road safety campaigns such as The Road Safety Foundation, as well as Pick n Pay Stay Alert Stay Alive. We obviously also focus on the dangers of worn shock absorbers and the fact that shock absorbers from an integral part of a vehicle’s safety triangle: steering, stopping and stability. Neglecting any one of these arms of the triangle, can make the car unsafe to drive. Most people are not even aware of the potential dangers of worn shock absorbers, or that the safety of their vehicle, its occupants and other road users is seriously compromised. A logical extension and evolution to our current safety programmes is to add more value to our customers and make the road an even safer place by offering affordable advanced driver training. “Although we realise there are a number of factors contributing to the high accident rate we have chosen to address driving skills in this programme. "Not just over the much publicised high-accident periods like the Easter and Christmas holidays but 365 days a year."